Explanation: Is this what will become of our Sun? Quite possibly. 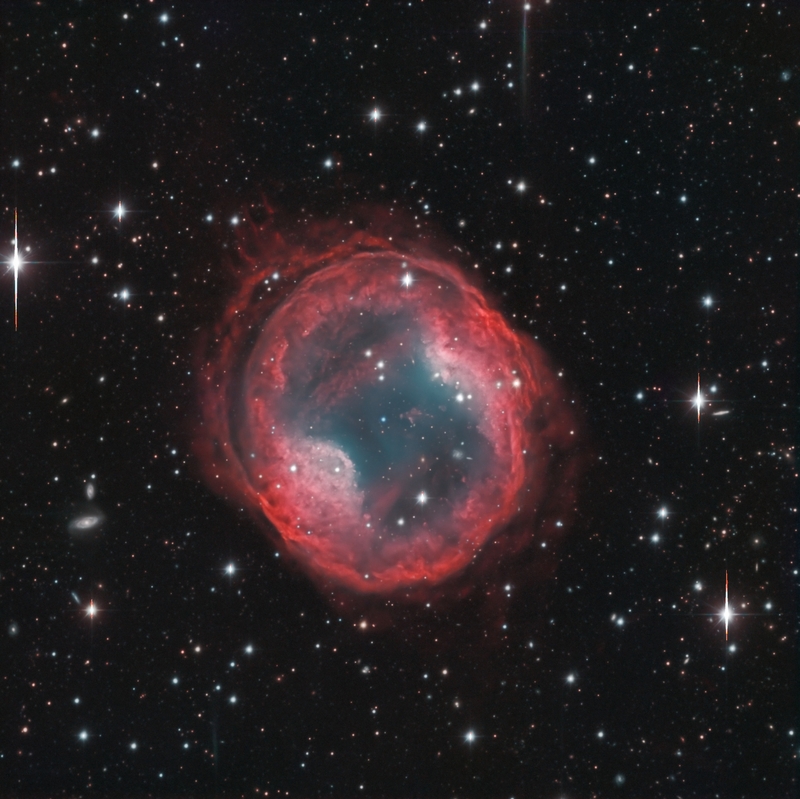 The bubble of expanding gas pictured above is the planetary nebula PK 164 +31.1, the remnants of the atmosphere of a Sun-like star expelled as its supply of fusion-able core hydrogen became depleted. Visible near the center of the nebula is what remains of the core itself -- a blue-hot white dwarf star. 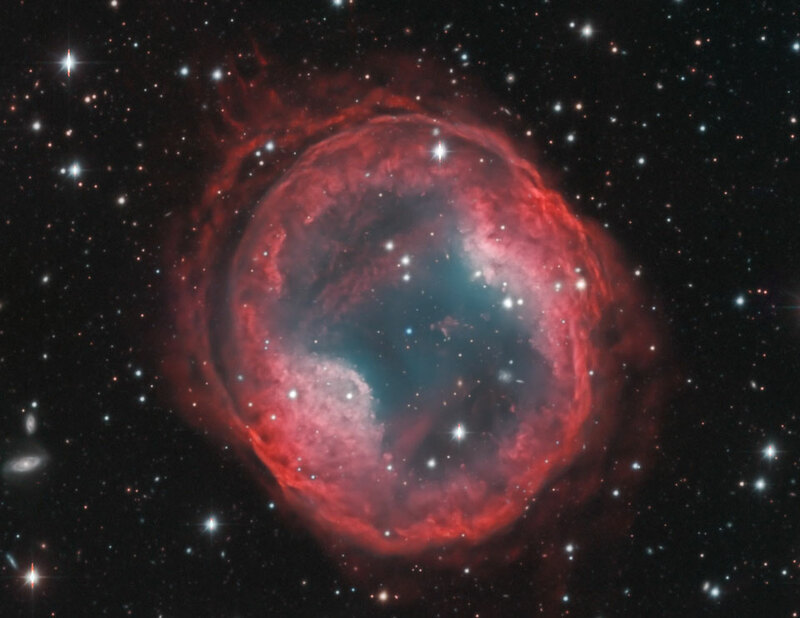 This particularly photogenic planetary nebula shows intricate shells of gas likely expelled at different times toward the end the star's demise, and whose structure is not fully understood. This deep image of PK 164 +31.1 from the Calar Alto Observatory in Spain shows many other stars from our own Milky Way Galaxy as well as several galaxies far in the distance. PK 164 +31, also known as Jones-Emberson 1, lies about 1,600 light years away toward the constellation of the Wildcat (Lynx). Due to its faintness (magnitude 17) and low surface brightness, the object is only visible with a good-sized telescope. Although the expanding nebula will fade away over the next few thousand years, the central white dwarf may well survive for billions of years -- to when our universe may be a very different place.